Walk through any major city in the world and look around in the city center, what do you see? Let’s take Amsterdam as an example: A lot of tourists, a lot of shops catered towards these tourists and some houses that are insanely expensive. It is as if the whole of city center of Amsterdam has become one big shopping mall. The city becomes a machine, a profit making machine. Everyone wants a piece of that action and as a result the cities grow. This rapid development is not without its fair share of problems to deal with. As more and more people want to live and work in these highly globalized cities, housing tends to become unaffordable, and congestion issues arise. The housing prices skyrocket and these cities become only accessible for the rich. High-Skilled expats seem to have no problem in affording a place, but where do the low skilled immigrants go? One of such places where the low skilled immigrants go is the Italian city of Bologna. Bologna is by no stretch of the imagination a Global City. 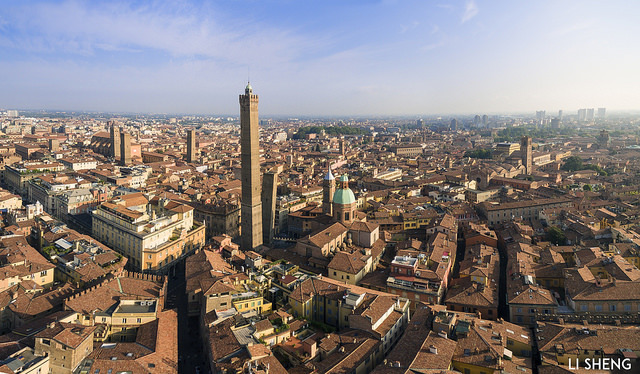 Depending on whom you ask they will even categorize the city of Bologna as low as a gamma minus city, meaning that they are only connected to a small economic region to the world economy. With a population of about 380 thousand it is only the seventh most populated city of Italy. When I first visited Bologna right before I started to study Human Geography three years ago, I noticed something interesting: There was a surprising amount of ethnic entrepreneurs in the city center. At the time I did not think much of it, but fast-forward three years and I wanted to know why they were there, as their overwhelming presence in the city center would be nearly impossible in global cities like Amsterdam or London. Why is a secondary city such as Bologna such a popular destination amongst those migrants? There are many variations of the definition of ethnic entrepreneurs. What it basically boils down to is that ethnic entrepreneurs are business owners with an immigrant background. They are different from non-immigrant entrepreneurs because they possess a different kind of human and social capital. 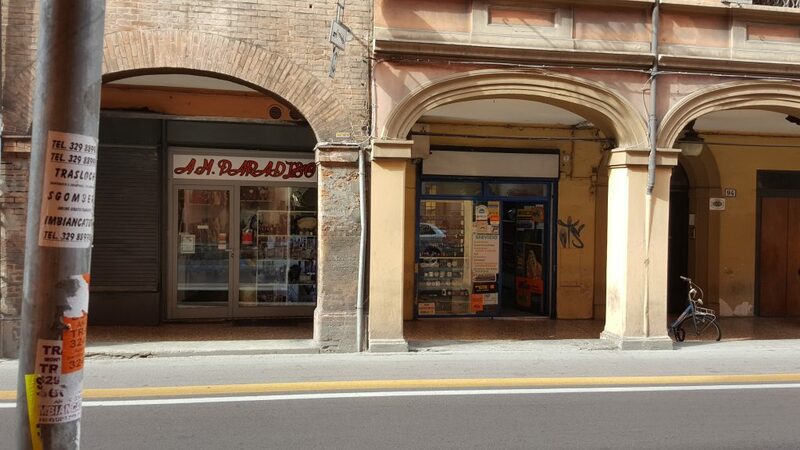 During my research in Bologna I focused on the retail and food industry. The presence of ethnic entrepreneurs was the biggest in these sectors. I talked to about 15 of these ethnic entrepreneurs in the center of Bologna in order to get the answers I wanted. These entrepreneurs all told me a part of their story; some of them had a long journey before they finally started a business in Bologna, coming from South-Asia through Libya through south Italy to eventually reach the richer northern parts of the country. Some of them already had relatives living in Italy, while some executed their journey all alone. All of these immigrants had one thing in common: they wanted a better future for themselves. 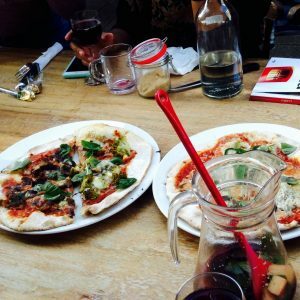 Rather than those to-be-expected reasons, however, it is even more interesting to find out why they chose open up a business in Bologna. Difficulties with the Italian language and culture and their low education level made it difficult for them to find salaried jobs. This left them little other choice than to start for themselves. Starting in Bologna was cheaper than for example Milan or Rome. And the presence of the central station of Bologna mattered a lot to them. They mentioned the fact that commuters often buy something from their shops and are an important part of their income. The station of Bologna is apparently one of the most important stations in Italy with about 58 million passengers per year. Direct high speed lines to cities such as Milan and Florence make it a very crucial hub in the railway system of Italy. 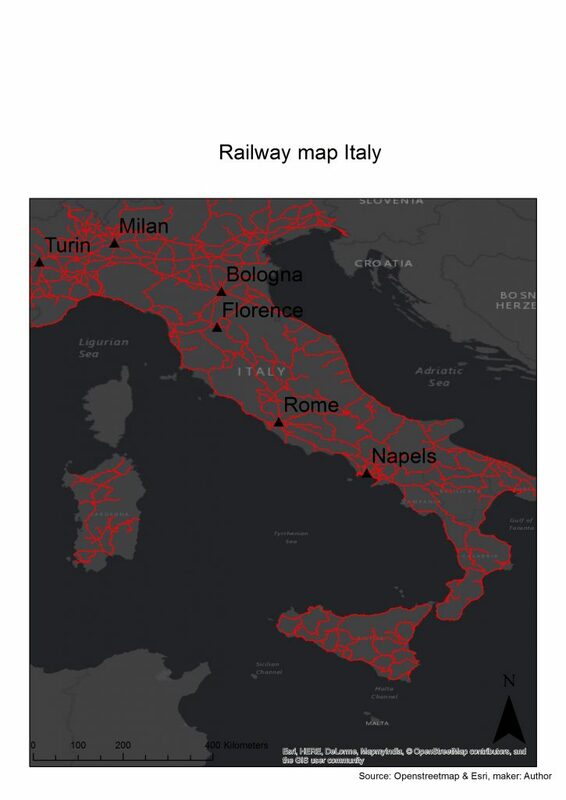 The map below shows the Italian railway system, on which the relatively central place of Bologna in the northern part of Italy is clearly visible. This makes it an excellent hub for many people and goods to pass through. What does this all mean for the city? 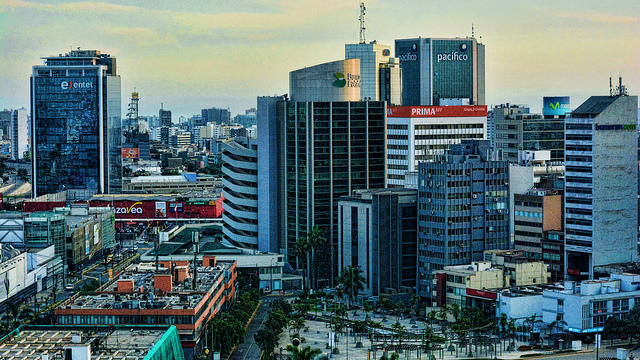 The effects of ethnic entrepreneurs on cities have been thoroughly studied by many authors. For Bologna, however, one can draw some specific conclusions on the causes and consequences of the presence of entrepreneurial migrants. The case illustrates namely how ethnic entrepreneurialism gives these low skilled immigrants a chance to develop their socio-economic position within the host country. 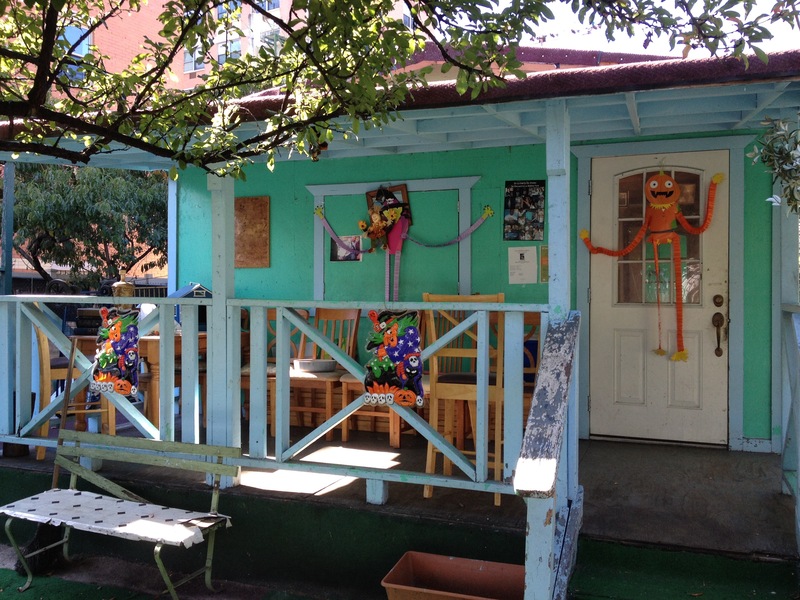 Starting their own business offers them an opportunity to accumulate financial capital. Bologna as a city hosts these activities and makes it possible for these ethnic enterprises to exist. Secondly these ethnic shops are a very interesting sight to behold. 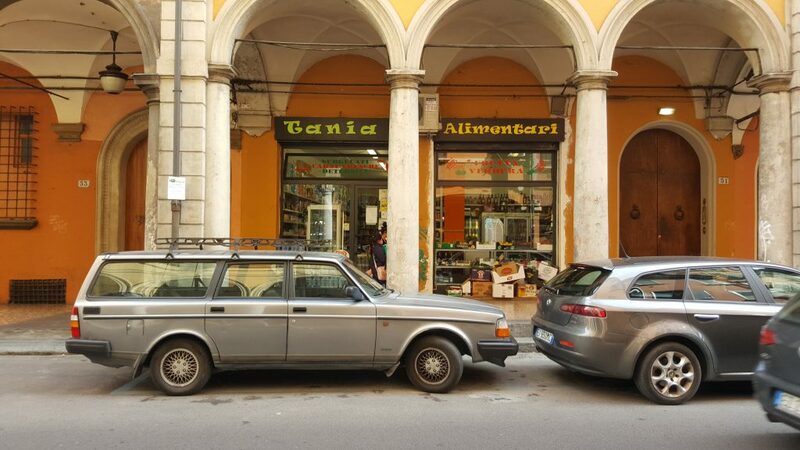 In the pictures below you can see a traditional Italian street with its typical architecture, but there is something that stands out: a shop with a bright yellow sign and fruit on display. 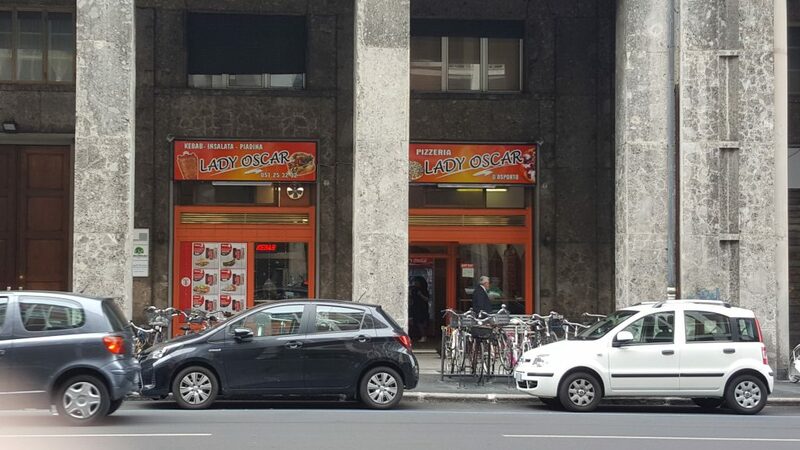 In the second picture you can see an orange shop selling kebab and other street food. In the picture above, you see a telecom shop where people can make phone calls and wire money. Whether you like this development or not, it is undeniable that these entrepreneurs change the fabric of the city. In a world where global cities are slowly becoming huge CBDs with extremely high land prices, a serious need for affordable urban space arises. This need seems to be supplied by smaller cities. I would dare to say that these big cities would have bigger problems to deal with if the smaller cities in their vicinity would not provide people that belong to more disadvantaged groups a place to live and to make a living. In the beginning of this article I asked the question: Where do low-skilled immigrants go? The answer is not always the Amsterdams or the New-Yorks of this world, but rather to smaller cities such as Bologna. Featured picture on top of the article is made by Jason Lee (Flickr). Human Geography student in Amsterdam interested in migration, cartography and technology. Did his bachelor thesis on Ethnic entrepreneurs in Bologna. Bologna is known for its arcaded streets, a unique feature, not one typical of Itlaian streets.